1. Does the 15 day trial period have any associated costs? No. The trial period is completely free and doesn’t require you to link a credit card to your account. 2. Can I change the plan subscribed to at any time? Yes. The plan can be changed at any time at no cost. 3. Can I cancel my subscription at any time? Yes. There is no kind of commitment involved in the subscription. 4. Does the use of OyO require any kind of investment in hardware and development? No. OyO is a web application, supported by all browsers, so you only need a device with internet to access your account anywhere, at any time. 5. How does OyO work in terms of security and backups? OyO uses the HTTPS security protocol and backups are done daily, weekly, or monthly. 6. Does the online support service have any associated costs? The online support service doesn’t have any costs involved and is totally guaranteed. 7. What forms of payment are available? Payment can be done through PayPal, by credit card or through Multibank. 8. How can I get a personalised plan? If you need more space, access for more users, or identify other needs of your company that are not met by the standard plans available, contact us and together we will find the best solution for your organisation. Yes. The security offered by our web application is done through SSL technology (Secure Socket Layer), used to improve the secure transmission of data through the internet – this technology encrypts and protects data transmitted between the computer and the server using HTTPS protocol. SSL is a guarantee to our users that data will not be intercepted fraudulently. 10. What languages is OyO available in? 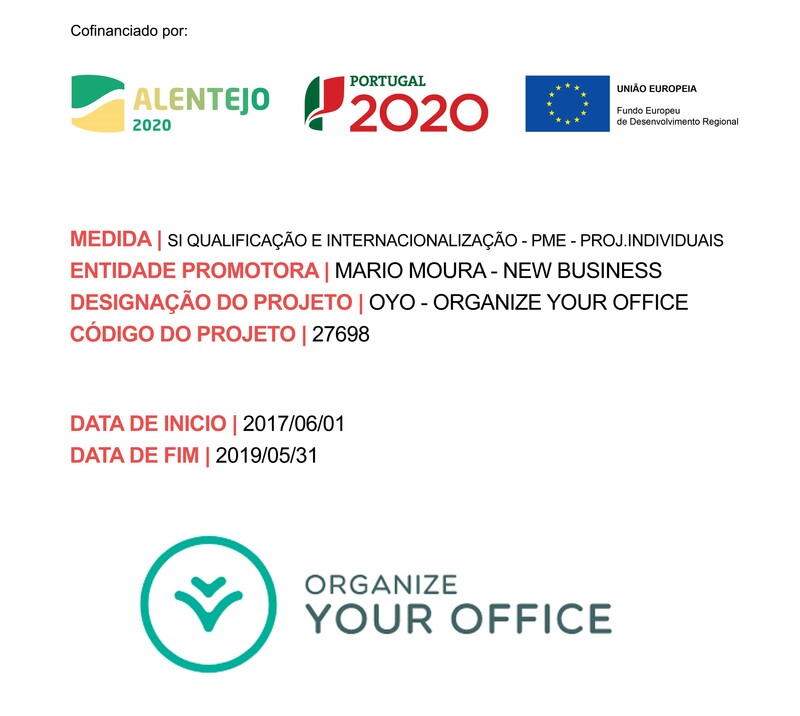 OyO is available in European Portuguese and English.